Convergent is an integrated customer care organization providing solutions to help clients bridge relationships with customers through enhanced, unified communication. Convergent customer care delivery enhances brand equity while maximizing the customer experience through multi-channel voice, chat, e-mail and back office services that are continually measured for compliance and quality standards. 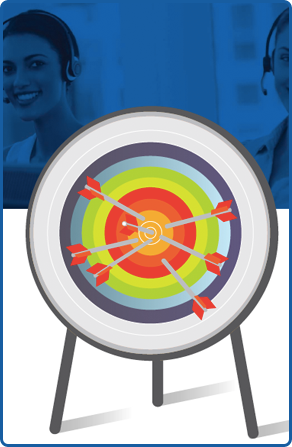 One of the largest U.S. BPO providers, with more than 3,000 agents and multiple domestic and offshore locations, ranked poorly out of 20 contact center operations key performance indictors (KPI’s) required by a global communications client. A comprehensive internal SWOT analysis identified the following weaknesses. "Before Acuity, there was no alignment between us and our customers. We weren't even capable of identifying our best or worst performing agents, let alone effectively support them." 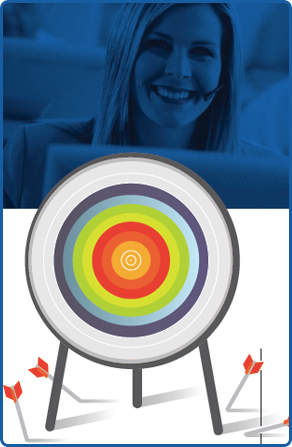 After an extensive evaluation process with internal and external experts, the BPO provider selected a Contact Center Performance Management (CCPM) product – the Acuity performance management product from TouchPoint One. The BPO provider subsequently experienced rapid growth, lower agent turnover and exceptional client retention after implementing Acuity. Here were the key results. 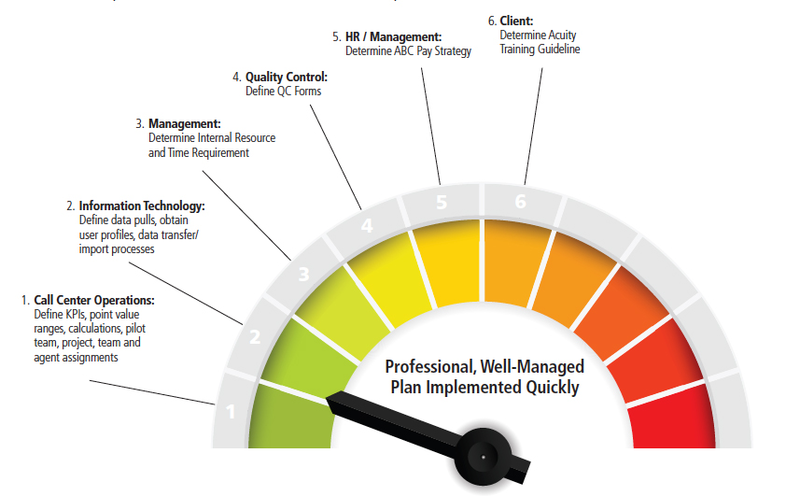 Within 12 months of implementing Acuity, the BPO provider became the top ranked vendor. Among the most rewarding aspects of the Acuity implementation has been the value it’s delivered to agents. Acuity enables agents to be connected to their supervisors as well as the rest of the organization at every level. Agents appreciate the consistent and continuous support that Acuity facilitates. They also like knowing that their employer is genuinely interested in their well-being and committed to their success. 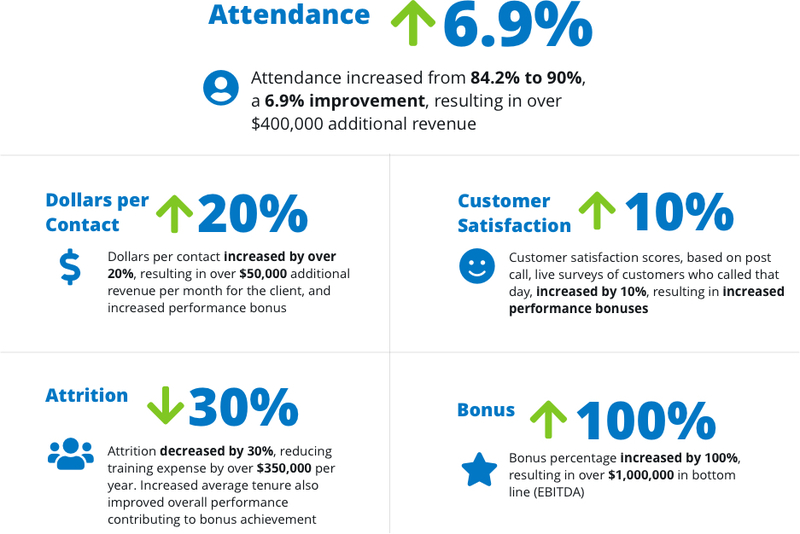 As a result, agent attrition rates and attendance scores have significantly improved. And wrongful termination incidents have nearly disappeared. The BPO provider now has a deeper understanding of the correlation between employee satisfaction (ESAT) and customer satisfaction (CSAT). While this is the way they have always managed their business, Acuity has enabled this relationship to be more directly measured. As agent attrition rates have dropped and attendance scores have improved, scores for customer satisfaction have steadily risen. The BPO provider is now enjoying the results from their Acuity enterprise performance management system, brought to them by TouchPoint One. See what Acuity can do for you.